Note: View from the right side of the engine. Note: Use KTM washer with the Scottoiler M6 spigot. Lightly apply silicon the threads. Do not over-tighten the spigot!! Push vacuum damper onto spigot. The dispenser is held using the dispenser plate and clip, secure by the slipper strip bolt. The Injector must lightly touch the outside face of the sprocket, with the slash cut facing outwards. 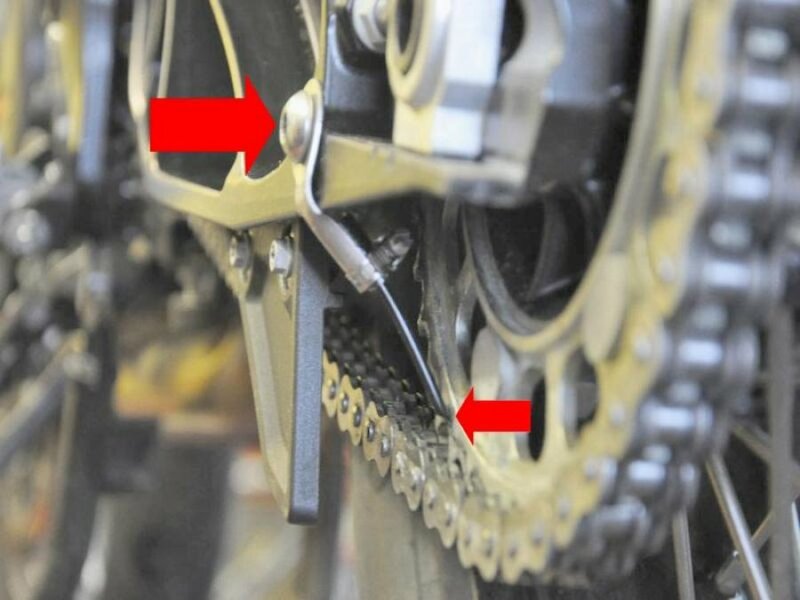 Use self adhesive clips to route the delivery tubing along the swing arm and up to the reservoir, avoiding the chain and any hot engine or exhaust components.